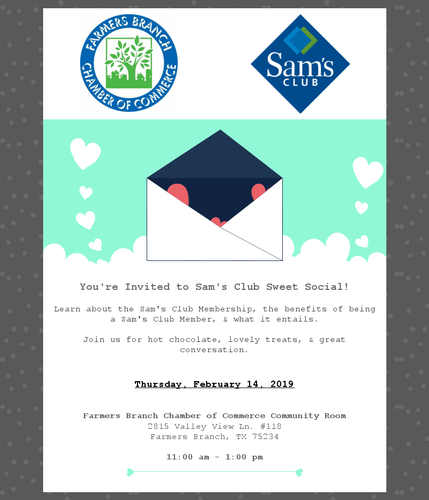 Your invited to Sam's Club Sweet Social! Learn about the Sam's Club Membership & all the benefits it entails. Join us for Hot Chocolate, Lovely treats, & great conversation.